The most effective way to memorize Scripture is in short daily lessons. To begin, decide on which verses you would like to memorize. What is your goal? To memorize Scripture about wisdom? To memorize Scripture about praising God? To memorize Scripture that focuses on doctrine, Scripture that explains the gospel? To memorize Scripture that guides you in your daily living? There is no wrong answer. All Scripture is beneficial to us and worthy of memorization, and any Scripture you memorize will bring you closer to God. 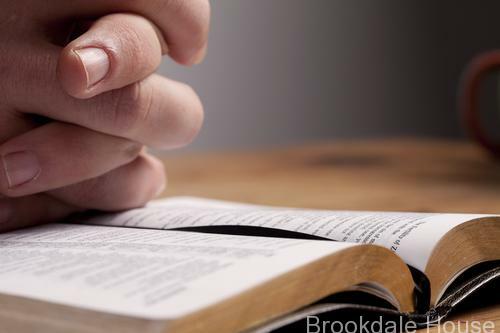 The most common way most of us try to memorize Scripture is to read it over and over again. Then try to say it back to ourselves. This works really well, especially with little children. Reading the Scripture is a great place to start, but there is more. When I was in college, I had to memorize large amounts of material for many of my classes, especially history. And what I quickly learned is that the fastest and easiest way to memorize any information is to write it down. To really remember God’s Word, we need to write it into our hearts. The process helps us to focus upon the words and their meaning, giving us a deeper understanding of God’s Word. Writing Scripture has us internalize and digest what we write. What we digest becomes a part of us. Writing Scripture helps us to remember. The physical act of writing helps us to remember much more easily what we are to trying to memorize. Recalling the verses you are memorizing is the hardest step, and is a test of the effectiveness of your methods. As you start to memorize Scripture, test your ability to recall the Scripture. If you are having difficulty, it it is often due to the inability to recall a few keywords. The key to memorizing hinges on keywords at the beginning of phrases that we already know. Most of us know a ton of Scripture, but can’t recall it at will. When the preacher is speaking, we can finish the passages he is reciting! The problem is our inability to recall those keywords that begin the passages we already familiar with. When you can’t remember a keyword, highlight that word in the Scriptures you have written down. Repeat just the keyword a few times until it sticks in your memory. Those keywords will enable you to recall Scripture much more easily. To memorize Scripture, the process of reading, writing, and recalling is the most effective method. The problem is that most of us don’t have to time to put the different parts of the process together in way that helps us to memorize Scripture quickly and easily. That was my problem. And that is why I came up with The Scripture Memory System. The Scripture Memory System incorporates the 3 steps above: reading, writing, and recalling. The Scripture Memory System is a self-contained system that organizes the bible verses into manageable weekly passages (usually 3 to 6 verses). With this system, you begin by reading the passage to be memorized and writing it in the space provided. After you are familiar with the passage, words from the passage are removed, including those all important keywords. You read the passage, mentally supplying the missing words. In no time, you are able to easily supply those missing words and those keywords that will trigger your memory. Because the memory system focuses on keywords, it will only take you a few minutes per day to memorize your weekly passage. In no time, you will be able to recite the entire passage from memory.